Part of the Utilise Plus events and grant funding programme. 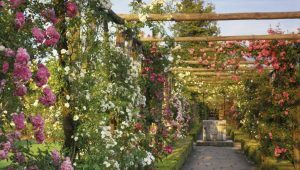 3rd July 2018, 09:30 to 12:30, Polesden Lacey, Dorking. 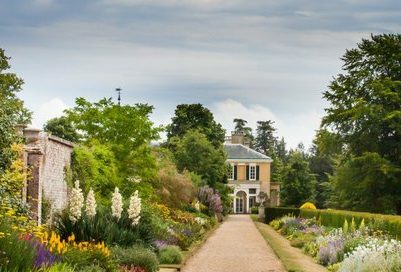 Join us for a Sustainability Tour of the National Trust’s stunning Polesden Lacey, to see first-hand the energy saving measures they have implemented. Delegates will be treated to a behind-the-scenes tour of the house, originally used as a weekend party house by Edwardian socialites! In addition to this, delegates will get to see Polesden Lacey’s eco-friendly biomass boiler up close. The boiler burns wood chips and produces just one-tenth of the CO2 emissions that were produced by their previous oil-fired system. The Trust invested £500,000 to install the boiler, with the aim of reducing their use of fossil fuels for heat and electricity by 50% by 2020 – a target they’re on track to meet! Collette Hamilton, Premises & Compliance Officer, will discuss the changes they’ve made on-site and give an overview of their new Building Management System. This event is part of the Utilise Plus programme and is fully-funded by the European Regional Development Fund (ERDF). As such, only those from eligible organisations can attend. Utilise Plus supports small and medium-sized enterprises (SMEs) to improve their resource efficiency. To book your place, use the form below. Please note, we will only accept one attendee per organisation. Additional bookings will be added to a waiting list and notified should any places become available. Be a SME that employs fewer than 250 people. Have a turnover of less than €50 million per annum (£43.9m1) or balance sheet total of less than €43 million per annum (£37.8m1). Be registered with Companies House / Charities Commission or demonstrate that they are engaged in ‘economic activity’ – usually some form of trading. Unincorporated associations and sole traders are eligible, provided they can show evidence of this. 1 European Commission monthly exchange rate February 2017: €1 = £0.8793. You are responsible for calculating the exchange rate and assessing your eligibility at the time of your application. 2 SMEs able to receive State Aid up to a value of €200,000 in any three year rolling period. Find out more about State Aid. 3 For organisations with a more complex structure, a case-by-case analysis is required, so please get in touch if you think this applies to you.